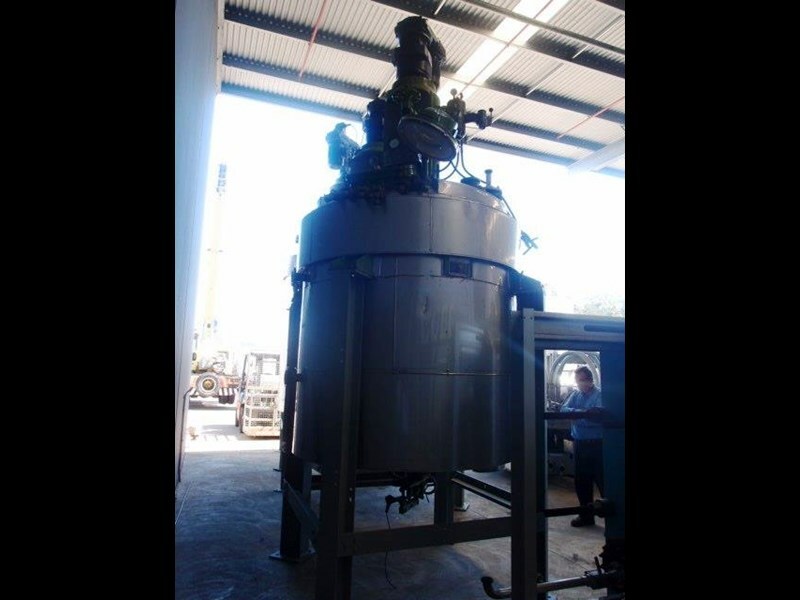 Unit is a glass lined jacketed mixing batch reactor with stainless steel pop riveted insulation. Unit is complete with Carbone Lorraine graphite condenser. 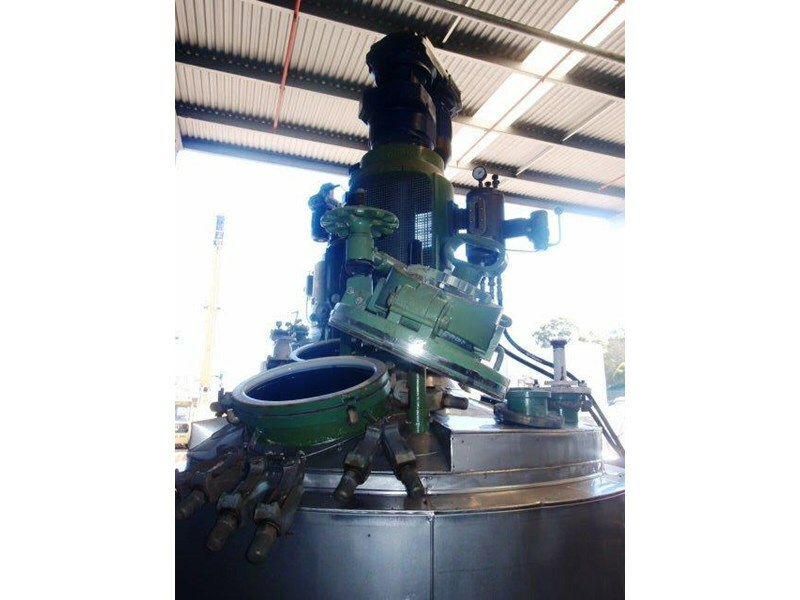 The reactor is fitted with a centre mounted anchor stirrer and is driven by a 5.5Kw @ 8-51 RPM, 415V EXD flameproof gear motor. 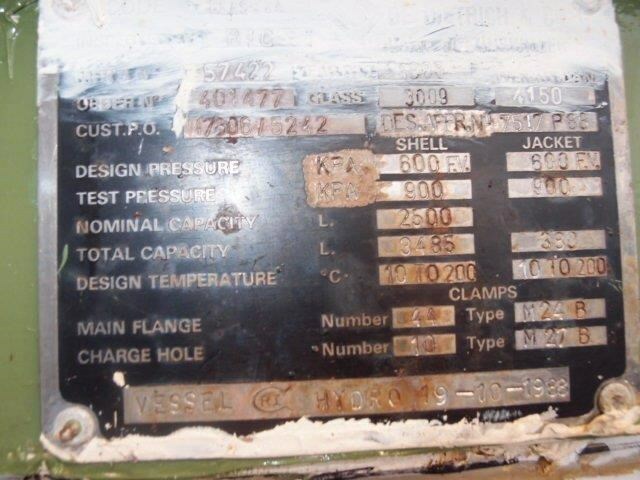 Shell Design Pressure: 600 KPA/FV. 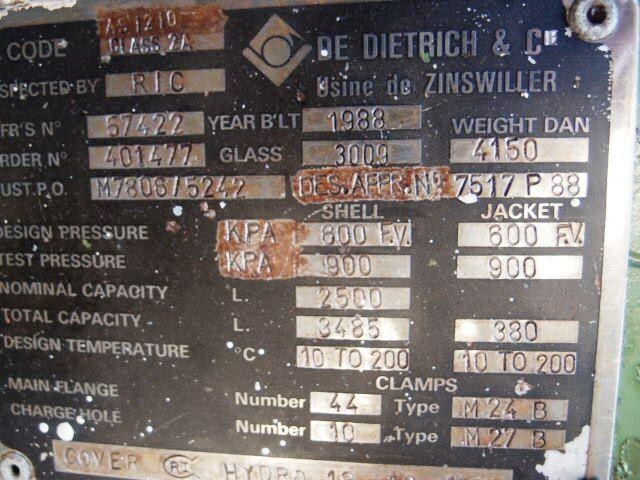 Jacket Design Pressure: 600 KPA/FV. 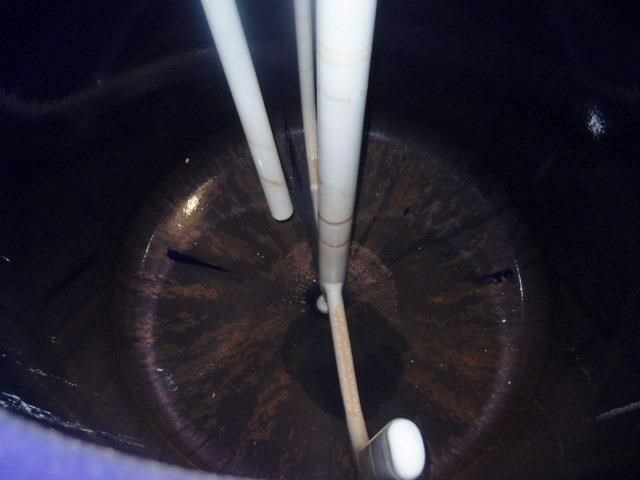 Shell Test Pressure: 900 KPA. Jacket Test Pressure: 900 KPA. 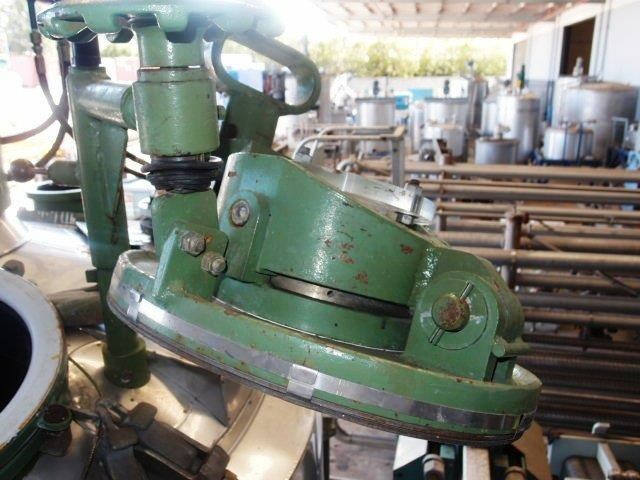 Shell Nominal Capacity: 2500 Lt. Shell Total Capacity: 3485 Lt. Jacket Total Capacity: 380 Lt. Shell Design Temp. : 10-200 Deg C.
Jacket Design Temp. 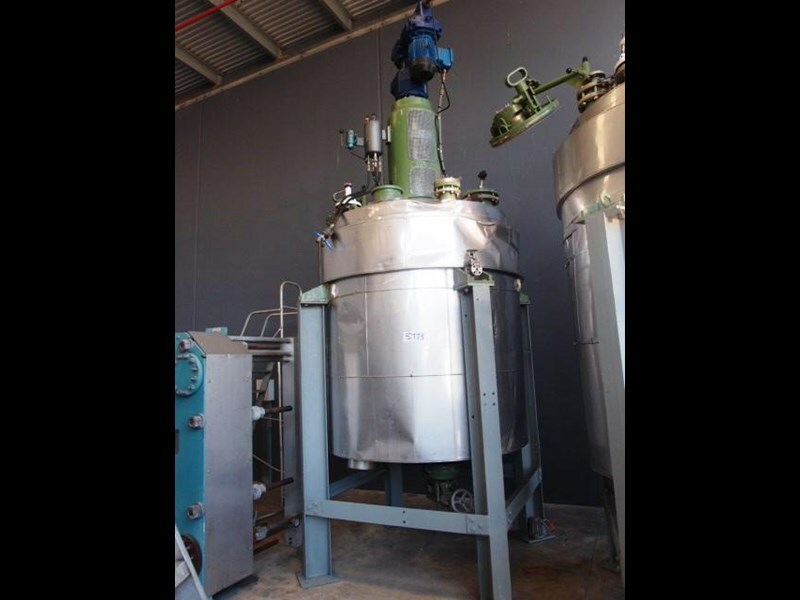 : 10-200 Deg C.
Glass Lined Jacketed Mixing Batch Reactor, Capacity: 4,000Lt, Dimension: 1900mm Dia x 1417mm H.